For days I have been haunted by Jae-Dee Collier’s story, Jae-Dee Survives the Home of Many Mothers. During the seven years I lived in Millswood with my family, we would take our dogs and young children for walks in the grounds of the former orphanage. By then the property was owned by the South Australian Education Department, although it is onto another incarnation now as Tabor College. Tabor College is a tertiary institution “infused by a Christian ethos”, as Goodwood Orphanage was. Goodwood Orphanage began its life as a St Vincent de Paul establishment in 1866. Between 1872 and 1889 it was run by the Sisters of St Joseph, and then by the Sisters of Mercy (or, as some say, the Merciless Sisters) from 1889 to 1975. At first, we were oblivious to Goodwood’s dark history, but over the years we met and chatted with women who had grown up there. And I met a woman who felt ill whenever she went past any building which resembled Goodwood. This is the larger context for Jae-Dee Collier’s 2018 book, which she calls “A Fictional Story Inspired by a Memoir”. The book forms part of Collier’s Master of Professional Practice (Creative Writing); she already had a Master of Public Health and has a continuing concern about the “ongoing public health effects on the victims of child abuse and children who grew up in ‘Care’”. 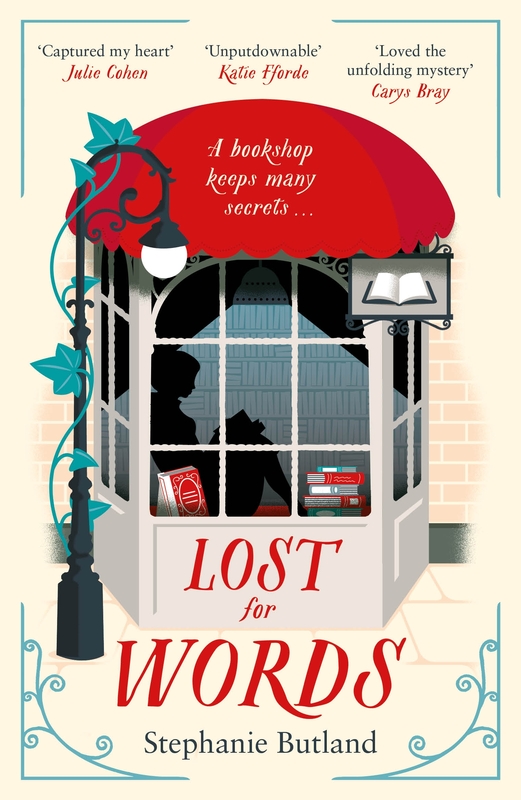 Collier has written her story from the perspective of a small child aged 3 when she first goes into the orphanage during the 1950s and age 8 when she returns after a couple of years back home with her parents. She writes compellingly about the 3-year-old who must negotiate a foreign, adult-sized toilet by herself for the first time, the child who almost constantly wets her bed (nocturnal enuresis this is called) and is chastised, punished and humiliated for this, despite bedwetting being a common childhood problem. (According to the 2008 Senate Report mentioned above, there was an “overwhelming number of submissions” which featured the harsh punishments children received for wetting the bed, and which often exacerbated the problem). Unfortunately, there are frenzied “thrashings”, especially from “Sster Grace”, for reasons other than bed wetting too. This is the same “Sster Grace” who transforms herself into a “lovely kind person to be fervently admired and respected” on visiting day. There were pleasurable moments in the orphanage too. Jae-Dee’s friend, Nina, pops up to help her out occasionally. There are rare visits during inclement weather to the “big playroom on the third storey”. In this room—which has an abundance of toys, puzzles, games, dolls, etc.—Jae Dee feels trouble-free and happy. And there is the holiday with Mr. and Mrs. Walsh which is “an exciting adventure” with people who are kind, even when Jae-Dee has done the wrong thing. The images of Jae-Dee being brutally punished for wetting her bed, eating sour sobs and almond tree sap to allay hunger, and her yearning to go home to her parents stayed with me for days. As did the tiny pictures of a witch throughout. Jae-Dee concludes her book by saying that her “witch hunt for the nuns is complete”, she now understands through her research that they were “unskilled, unprepared, overwhelmed, burdened with grieving, traumatised children.” The witch metaphor reminded me that I’d used it years ago, too, to get the carping, critical voice of my foster mother out of my head. Jae-Dee Survives the Home of Many Mothers, adds to the collection of stories we have about the Goodwood Orphanage. But it does more than that too, it hints at what can help others in their therapeutic journey – to tell the story, to do some re-parenting, to understand oneself in a wider socio-historical context, and to grieve one’s losses. As Jae-Dee Collier says in her Prologue, “Many of those [who] survived to become adults have a lot to offer in teaching society how to support disempowered children”. 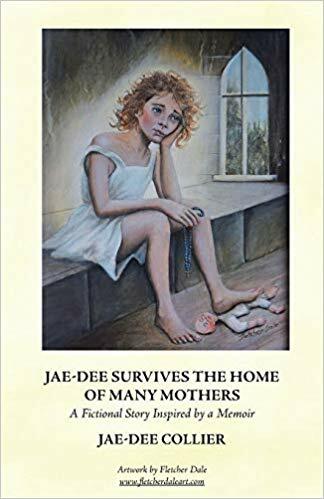 It is worth reading her book for this very purpose and I commend Jae-Dee Survives the Home of Many Mothers to those working with children and those working with adults who carry a much-wounded child within them. Jae-Dee Survives the Home of Many Mothers by Jae-Dee Collier is published by Balboa Press, a Division of Hay House. Dr Dee Michell is an academic at The University of Adelaide. She was made a Ward of the South Australian State in 1960 and remained in foster care for 15 years. She worked as an administrator for a multi-national corporation before going to university in her 40s, when she combined study with primary care for her three children. From 2013 to 2016, Dee worked on a 3-year Australian Research Council funded project on the history of foster care in Australia (with Nell Musgrove, Australian Catholic University). Annie Horner’s 2018 book, No One Was Watching, opens with a short story—’A New Kitchen’—reflective of her own first encounter with ‘Forgotten Australians’. Horner was at a party when she overheard a woman talking about finally being compensated by the government for what had happened to her as a child in out-of-home care, and how she planned to use this money to install a new kitchen. In Australia, children and young people who cannot live with their parent(s) live in what is called ‘out-of-home care’, that is, in alternative arrangements such as foster or kinship care, a group home, or they are supported to live independently. Between 1852 and 2013 there have been numerous state and federal government inquiries into the out-of-home care system, but it was not until the 1990s that the focus was on survivors of the system giving testimony. Three landmark federal government inquiries have resulted in prime ministerial public apologies. In 1997, Bringing Them Home reported on the forced separation of First Nations children from their parents. This was followed in 2001 by the release of Lost Innocents detailing the experience of unaccompanied child migrants from Britain and Malta. Forgotten Australians: A report on Australians who experienced institutional or out-of-home care as children was handed down in 2008. During the 20thcentury an estimated 500,000 non-Aboriginal Australian born children were put into children’s homes, orphanages, training and reform schools, and foster care either by the state or via privately made arrangements. No One Was Watching is Annie Horner’s—a retired educator—creative response to the Forgotten Australians report. The book forms part of her creative writing Ph.D. through Edith Cowan University in Western Australia. For Horner (2016) ‘Fictional stories invite new ways of seeing’, they can ‘disturb and disrupt’ the taken for granted…’ Yet, as Horner says in the Foreword to No One Was Watching, there have been few literary responses to this bleak chapter of Australia’s history. Not intending to speak for those who were once hidden away in out-of-home care or who are hidden still because they cannot tell of their experiences, Annie Horner’s ‘novel-in-stories’ brings to life the largely unknown community called Forgotten Australians. No One Was Looking is framed by a young woman’s shock and indignation on discovering the neglect and abuse of thousands of Australian children who were ostensibly being ‘cared’ for by the charitable and well-meaning, and her determination to prevent a reoccurrence. Each story is narrated with tenderness, concern, and admiration for the survivors. Linking the short stories is Janet. Janet went into out-of-home care after her mother died. She was separated from her siblings and had to endure sexual assault – and blame for the sexual assault—when she was sent out to foster care. Janet is a good person albeit shy and withdrawn because of all that has happened to her. As Horner says, Janet is a ‘woman of extraordinary courage, resilience and hope’ and yet without knowing her story of survival, she might well be overlooked. 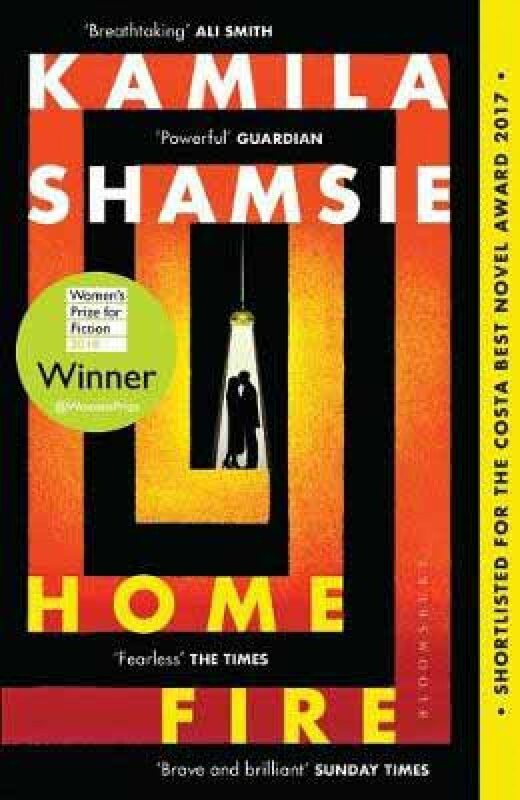 In having Janet as her protagonist, Horner manages to tell the heartache of many care experiences – homelessness, marginalisation, sorrow – without perpetuating stereotypes. Janet does not appear obviously in every story but every story connects back to Janet. There is her dead sister, her brother who lives on the margins of society, her husband who understands because he was in out-of-home care too. There is also the callous worker and the society matron who hosts a party, completely oblivious to dark happenings within the children’s home. The characters—and what they do and what happens to them—are composites of testimonial evidence from survivors of out-of-home care. Each chapter begins with a citation from an academic or government source relating to the topic for that chapter. For example, there is an excerpt from Forgotten Australians about how previous generations of fathers ‘were not seen as appropriate care givers…’ When Janet’s mother dies, her father feels pressured into relinquishing his children. With the clever structure of the novel-in-stories approach, Annie Horner has produced a Forgotten Australian narrative which captures both the sense of horror many Australians feel when they first hear about what happened, as well as some of the experiences had by children in ‘care’ – separation from family, brutality, regimentation, a lack of affection and nurture. She hints at the temptation to unkindly judge those we know nothing of, and about the salve on wounds that can come from those who do care and comprehend the present effects of past wrongs. No One Was Watching is a poignant, sad book, yet one that is exquisitely written. The characters are memorable and invite your compassion and approbation. Annie Horner has accomplished what many care leavers long for, to be given both dignity and understanding. 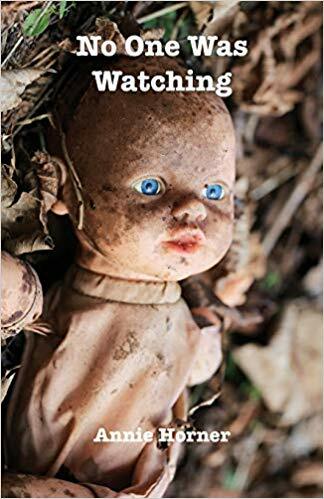 No One Was Watching by Annie Horner is published by Ginninderra Press, Port Adelaide, South Australia. Annie Horner (2016) Beyond the Gates: An Arts-based Investigation into the ‘Forgotten Australians’ Limina. A Journal of Historical and Cultural Studies, 22(1), 51-66. Anais has lived in too many homes to remember and at fifteen has been criminalised by 147 offences to date. The panoptican, a former prison, metaphorically illustrates just how too many ‘care’ children end up behind bars. Most of Anais’ life has been incarceration of one sort or another. Nowhere has there been care or kindness, except from her former adoptive mother, who was a prostitute. The inmates have no one, except each other. When Anais arrives, on edge – she’ll need to have all her wits about her to survive yet another placement – typically not knowing why she has been placed there. A bond with the other ‘inmates’ grows and which has no barriers or walls. A bond grown from shared, abusive, pasts that often need no words. 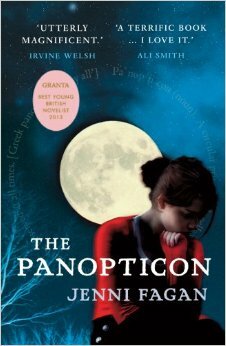 The Panoptican (2012) is still number one on my list of orphan literature, which is why I chose it for Christmas Day. Anais’ journey through care, a year off leaving the system, sees her strive for autonomy. What makes the most striking initial impression from this illuminated text is the hard-hitting voice of a young girl already too wise and old for her years. The language, tone and invented words all serve to create a unique story. There is still nothing quite like it on the literary shelves. #AdventCalendar Day 24 #Orphans and #CareExperience in fiction: #MotheringSunday by Graham Swift. How will Jane, orphan and housemaid, occupy her time when she has no mother to visit? How, shaped by the events of this never to be forgotten day, will her future unfold? Mothering Sunday (2017) opens with the last sensual and intimate moments between Jane, maid from Beechwood, and only surviving son, Paul Sheringham, heir of nearby Upleigh. Their relationship is played out against a backdrop of change, both estates make do ‘with just a cook and a maid’. Jane and Paul have been lovers and friends for almost seven years. 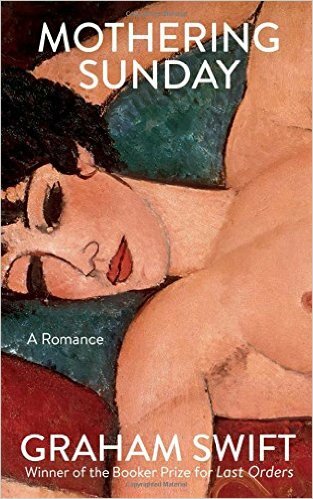 Jane Fairchild discovers a freedom through sexual liberation, and with a Dutch cap ‘up her fanny’ rides her bike to an assignation with her lover. Both estates have lost sons in the First World War, both families are still grieving but there is to be a wedding between Paul Sheringham and Emma Hobday, another estate, an ‘arranged’ marriage. It is an unusually warm day in March. Time is captured in the opening scenes, time that is remembered a lifetime, time that is replayed. Images are conjured: nakedness, the sunlight, the lattice shadows on the skin. When Paul Sheringham leaves Upleigh, Jane is told to leave everything. She is not to be his ‘bloody maid’. He leaves her naked, to do as she wishes. Walk naked in the library, is what Jane does. After Paul leaves, she explores the entire house, catching sight of herself in the mirror. Like a re-birth, like an understanding of herself. Because Jane is an orphan who reads and because she is in a house of sons, it is the adventure books for boys that will become her favourites. ‘Who would want to read sloppy girls’ stuff?’ The narrative sees her collecting phrases, expressions, words for when she will find her true vocation, that of a writer. This day, this Mothering Sunday is a day Jane will never speak or write about, it is her secret day, with her secret lover and friend. This is an orphan story written by a writer of experience, a male author who knows what to do with words and how to make a story. He calls his character Jane Fairchild, presumably after those other great orphan female characters, Jane Eyre or Jane Fairfax. 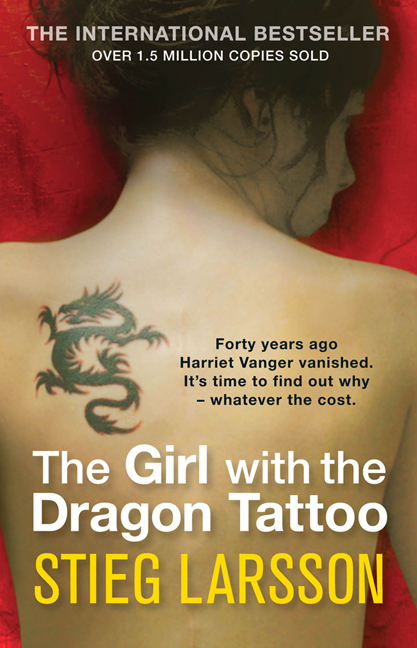 As a child, Lisbeth Salander was declared ‘legally incompetent’ and was under the care of legal guardian Holgar Palmgren, one of the few people in the world she trusted. After being released from St. Stefan’s Psychiatric Clinic for Children in Uppsala, Salander was placed with a foster family. After running away from her first few families, Palmgren explained that she would be placed back in the psychiatric clinic which convinced Salander not to run away from the next family. But, Palmgren has a stroke, her a new guardian: Nils Bjurman, is a sadist who forces Salander to perform sexual acts in return for access to her allowance. He employs disgraced financial journalist Mikael Blomkvist and the tattooed Lisbeth Salander to investigate. She possesses a photographic memory and legendary hacking skills. When the pair link Harriet’s disappearance to a number of grotesque murders from forty years ago, they begin to unravel a dark and appalling family history. Home Fire (2018), retells the Greek myth, Antigone (441BC), by Sophocles as the story of two British-Pakistani families. A tragedy about radicalisation in modern London. Orphans, Isma (Ismene), and Aneeka (Antigone) live in Wembley with the stigma their father’s jihadi past that culminates in their brother Parvaiz (Polyneices), joining Isis in Syria. Isma accepts an invitation from a mentor in America after years of being both mum and sister to her sibling twins, which allows her to resume a PhD dream long deferred. But she can’t stop worrying about Aneeka, her beautiful, headstrong sister back in London, or their brother, Parvaiz, who’s disappeared. Then Eamonn enters the sisters’ lives. Son of a powerful political figure, he has his own birthright to live up to – or defy. Is he to be a chance at love? The means of Parvaiz’s salvation? Suddenly, two families’ fates are inextricably, devastatingly entwined, in this searing novel that asks: What sacrifices will we make in the name of power and love? The novel asks provoking questions about British politics and today’s society and illustrates how love and loyalty can become mixed up and flawed. It also is a good example of how those with split and interrupted childhoods, whose need for acceptance and belonging – high on the list of dispossessed attributes – could choose a road less travelled. 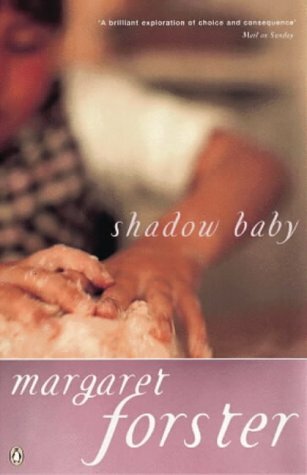 Shadow Baby (1996) by Margaret Forster, explores the social changes of babies born out of wedlock at the end of the 19th Century and in the 1950s. Born in Carlisle in 1887, brought up in a children’s home and by reluctant relatives, Evie, with her wild hair and unassuming ways, seems a quiet, undemanding child. Shona, born almost seventy years later, is headstrong and striking. She grows up in comfort and security in Scotland, the only child of doting parents. But there are, as she discovers, unanswered questions about her past. The two girls have only one thing in common: both were abandoned as babies by their mothers. Different times, different circumstances, but these two girls grow up sharing the same obsession. Each sets out to stalk and then haunt her natural mother. Both mothers dread disclosure; both daughters seek emotional compensation and, ultimately, revenge. On my shelf of favourites, Forster explores the contrasting times, both in attitudes to women and the options on offer for girls who find themselves pregnant and unmarried. In a small Kent town in the 1950s, a bewildered little girl is growing up. Ostracised because of her colour, she tries her best to fit in, but nobody wants anything to do with her. A nanny climbs the steps of a smart London address. She’s convinced that her connection to the family behind the door is more than professional. And on the walls of an English stately home, amongst the family portraits, hangs an eighteenth-century oil painting of a mysterious black woman in a silk gown. It wasn’t so much painful to write but it was harrowing researching Muriel’s story, reading recollections from people who grew up in children’s homes and talking to those who had backgrounds similar to hers. One woman told me that as a child she often wished she were dead; I never forgot that. I really enjoyed reading this novel because it featured an older care experienced person not the sort of character you see very often in literature. People who grew up in the 1950s and 1960s often couldn’t wait to leave the institutional system behind them and some never told anyone about their care experiences, including family members if they went on to get married and have children. 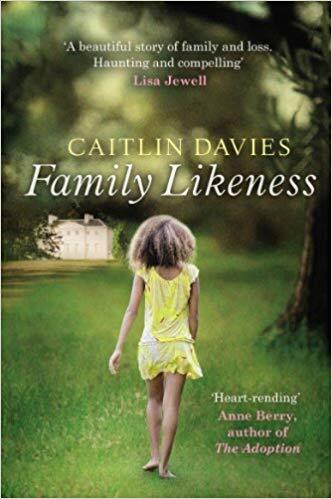 Family Likeness captures the trauma of the past and secrecy of the present as well as the stigma attached to both unmarried mothers and the racism of the era. Family Likeness was published by Windmill Books. Moll begins life as an orphan, and her life will in fact be defined, from start to finish, as one of profound isolation. Moll’s early abandonment is but the first in a long line of such desertions, and the novel will continue divesting Moll of all her friends and relations at a rapid rate. The basic aloneness of human beings was a favorite theme for Defoe. 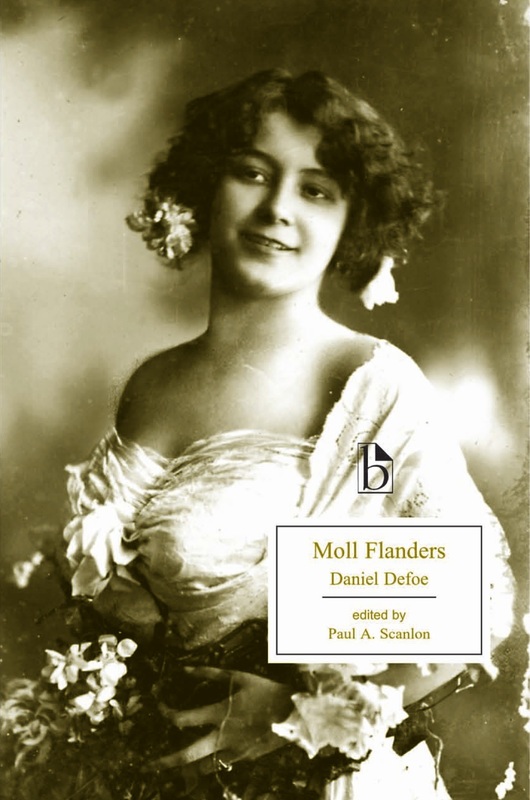 Although Moll exists in the midst of a bustling and crowded urban world (rather than being stranded on an island like Robinson Crusoe), she forges almost no enduring loyalties or friendships. On the rare occasions when she does find fellowship, Defoe does not allow Moll’s interpersonal relations to become the focus of the novel. Moll’s solitary and unpropitious start in life also initiates her remarkable self-sufficiency. That she divides herself from the band of gypsies at the age of three is an index of the power this heroine will have to steer and direct her own life. While Moll is often at the mercy of circumstances, her lack of affiliation also gives her a kind of freedom, and it forces her to rely on her own judgment and cunning to make her way in the world. Her story will be a quest for survival.